WHAT TO DO IF YOU STAY IN PLETTENBERG BAY? A WILD ADVENTURE AT THE WILD RANGE IN OUDSHOORN. 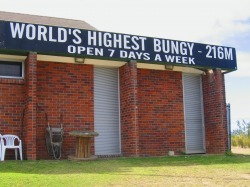 BLOUKRANS BUNGY -216m- WORLD'S HIGHEST BUNGY JUMP!